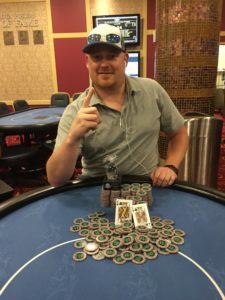 Scott Koernig Outlasts 215 to Win Event #3: $80 NL “Crazy Pineapple” for $2,053! 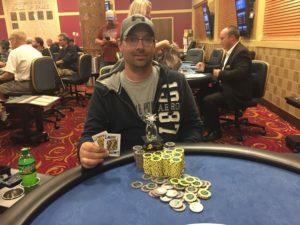 Trevor Hills Outlasts 129 to Win Event #4: $250 NLHE “Winners Shown” For $5,111! 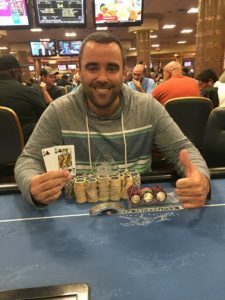 Ben Rock Outlasts 117 to Win Event #5: $100 NL “Crazy Pineapple” For $1,843! Learn about what makes PIFT different from other poker tours. Read more about us and how and why PIFT came to be. All of our tournaments are Texas Hold ‘Em at its core, with just a touch of tweaks and variation for each event. Something just a bit different; a bit more fun. All in new and exciting ways you’ve never gotten to play Texas Hold ‘Em before while in a casino setting. Our tournaments are structured to be as fun and inviting to all players as possible. This is why our flagship events begin and end on the same day, we make the chips matter at every stage of the tournament, and 15%+ of the field gets paid. We have long held the belief that one of the most positive ways to promote the game of poker, is by having the game of poker helping the real world through charitable contributions. In order to achieve this goal we are proud to announce that 1% of every prize pool is withheld for charitable donations.